Took a half day at work, and hit the road around 1:30pm. Stopped at the Superior Hiking Trail Association building in Two Harbors. Bought maps and a SHT patch. Hit the trail from Britton Peak trailhead around 7:10pm. Trail was pretty muddy from rain earlier in the day. My dog, Kieran didn’t like walking on the wooden planks on the trail, so she walked in the mud/water instead. Skipped spur trail to make it to campsite before dark. Arrived @ Springdale Creek campsite around 7:50pm. 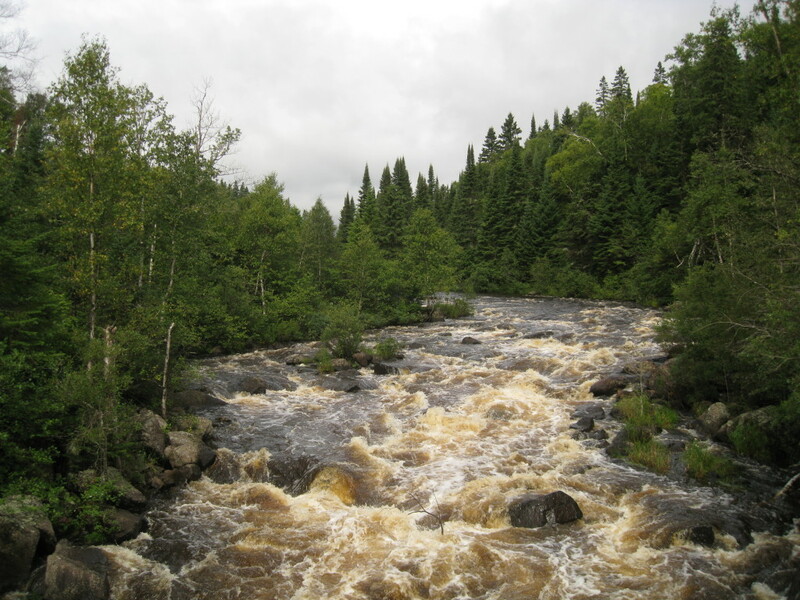 Shared camp with a group of 3 and their dog – a 4 year old German Shorthair / Chocolate Lab mix. Dog’s owner was the owner of a soon-to-be-opened brewery in Uptown (which I’ve since enjoyed several times!). Campmates very kindly shared their liquor and leftover dinner (sausages) with us. Made spaetzle for dinner, and pudding for dessert. Hung food, then to bed around 11:35pm. Didn’t sleep well – Kieran woke me up at 4am to go out, and I was uncomfortable most of the night. Breakfast: Blueberry Kodiak cakes with Hazelnut butter (because I forgot the syrup). Left camp around 11:15am, campmates had left earlier. Lunch at West Leveau Pond campsite. Lots of mushrooms on the trail! Many parts of the trail were pine forests, and smelled like Christmas. Hiked Leveau Mountain spur trail — the whole loop. Stopped at Oberg Mountain parking lot for outhouses, and recognized the parking lot from skiing the previous winter. 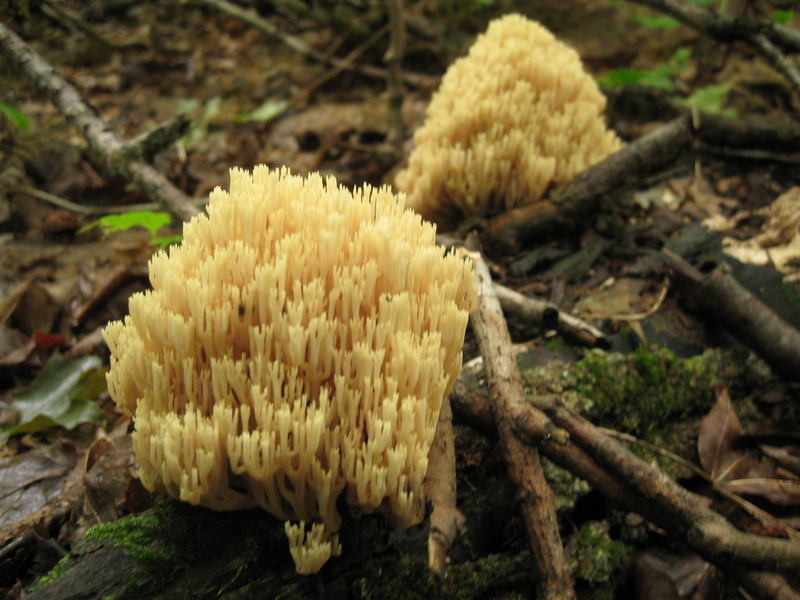 Hiked 1.6 more miles to West Rollins campsite – piney forest, big shady trees – great site! No campmates this time. Had camp set up by 6pm, relaxed in hammock. Red squirrels chirping. Dinner: beef teriyaki, dehydrated corn. Dessert: chocolate pudding, dehydrated ice cream. Tried to get a fire going, but the wood was too wet — gave up. Kieran woke me up a little before 7am, took her out then tried to sleep more in the hammock. It was a little chilly. Breakfast: blueberry chia seed Kodiak cakes with nut butters. Hit the trail again just before noon. Steep climb up Moose Mountain, nice overlook at the top. 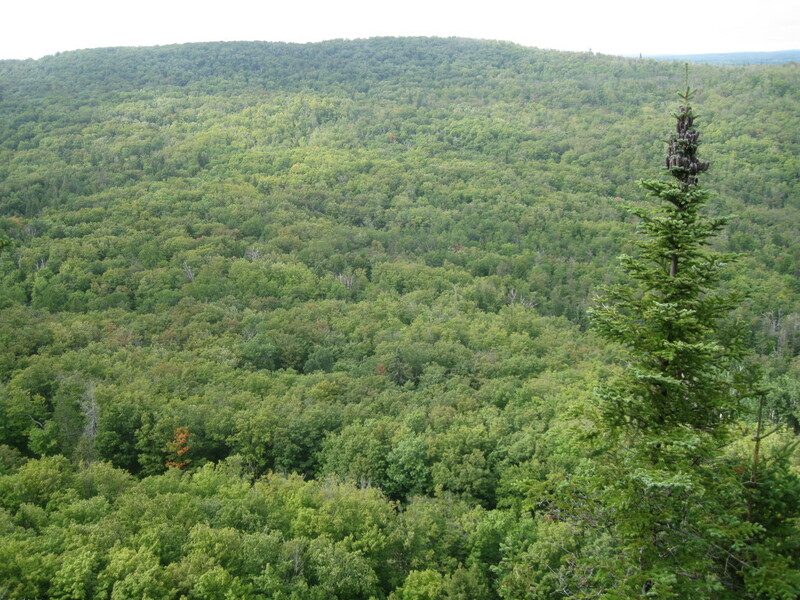 Took spur trail to the gondola at Lutsen Mountain — civilization! There was a chalet with a restaurant, restrooms, etc. Had (trail) lunch at a picnic table near gondola lift. Lots of people waiting to ride back down. Filled water and disposed of trash bags. On way out, found another overlook with railings — took some pictures. Some hilly hikes to the next campsite, Mystery Mountain, but very enjoyable. Arrived by 6pm, shared site with 3 others from the Twin Cities. They offered whiskey — which was happily accepted. Morning: woke up to a thunderstorm and heavy rain — waited it out in tent. 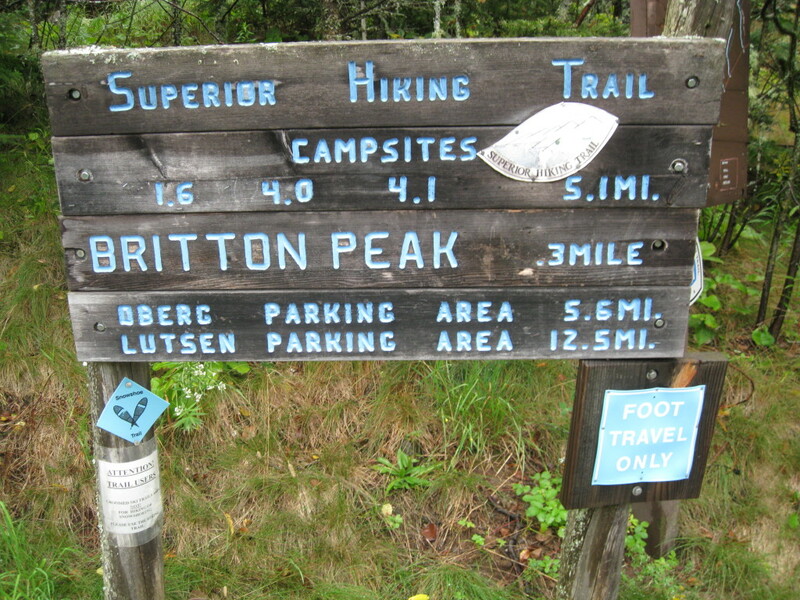 Hiked to Lutsen ski resort to catch shuttle back to Britton Peak trailhead.